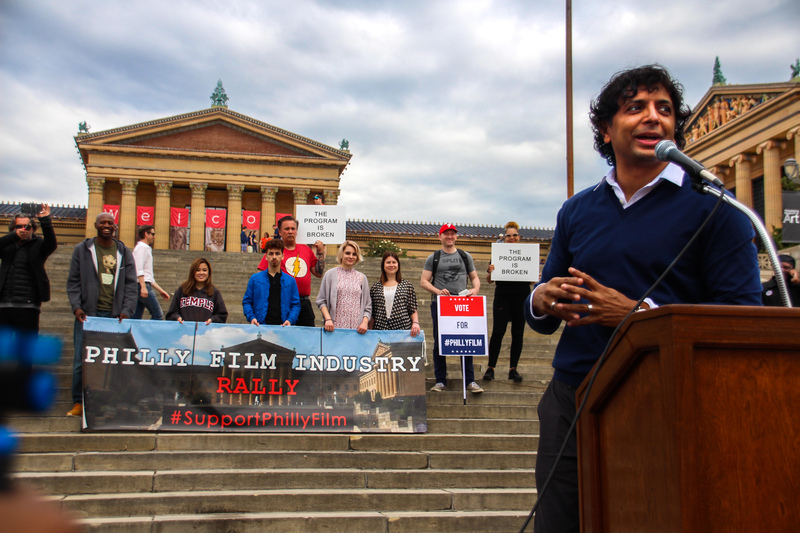 On Saturday, June 3rd, we rallied for Philly’s film industry! There was a strong turnout of filmmakers, crew, actors, and local business leaders who understand just how strong the impact film and television production can be on our region. 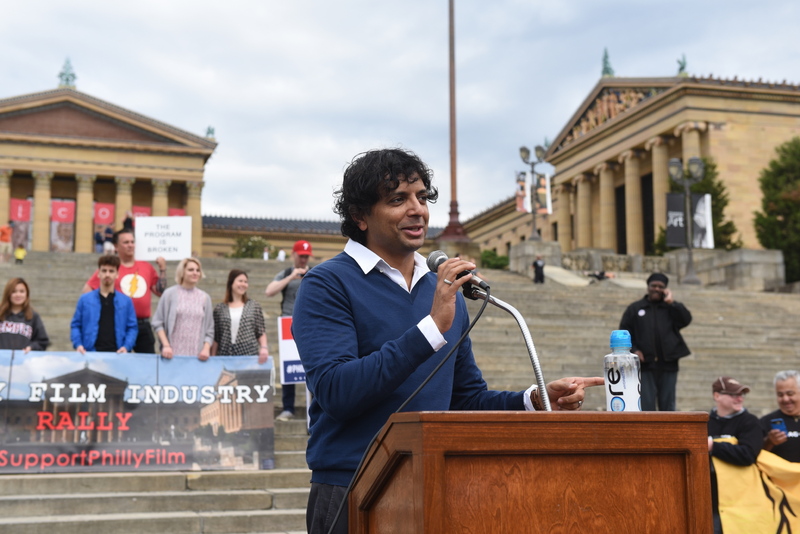 Let’s show the world how many people care about and depend on #PhillyFilm! Strength in numbers! There was media coverage. It happened, rain and shine (it did both). 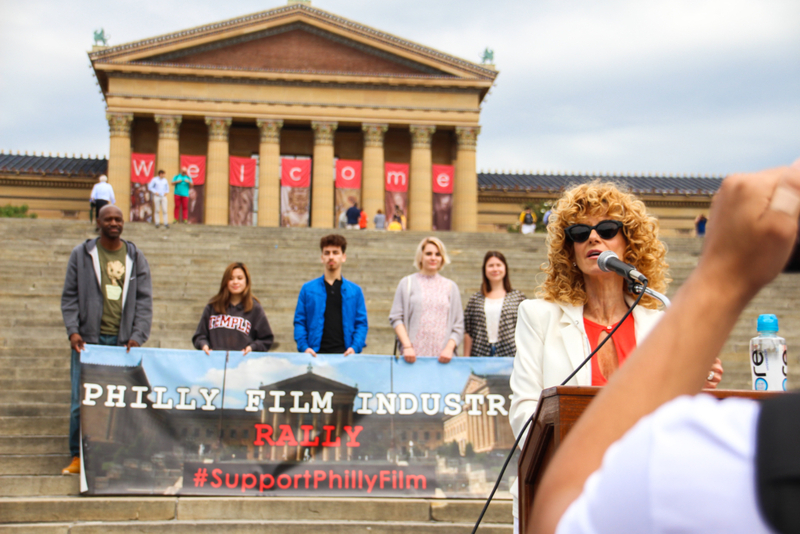 For all who attended Saturday’s rally for the Philadelphia film industry, thank you so much for participating! Our goal was to show our elected officials and our Philadelphia community that we’re not just a small group of artists, but a robust network of hardworking middle class Pennsylvanians who are desperate for more work and who will help Pennsylvania’s economy to thrive if given the opportunity. The opportunity will only be present with the expansion of the Pennsylvania Film Tax Credit incentive program. Your presence at the event helped us push the message that we are in this together. 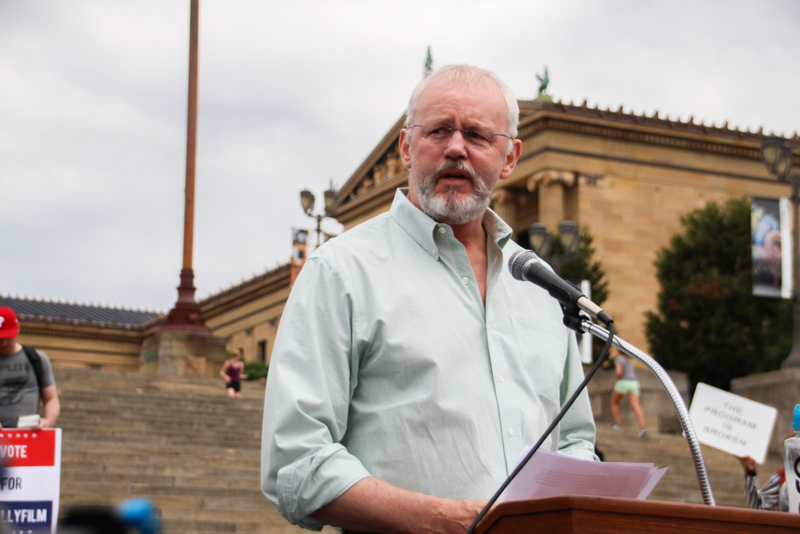 Thousands of hard-working Pennsylvanians depend on the film tax credit incentive program for their livelihoods. Hundreds have already relocated to other states for work, or are temporarily living away to work to sustain their families. The rally was a great start to pushing for our common goal. I am writing as a concerned tax-paying citizen of Pennsylvania who is working in the film industry. I am writing you in hopes that you remember that supporting the film tax credit program in Pennsylvania supports Pennsylvania families and businesses. I encourage your support of all bills or proposals that would either increase the film tax credit annual cap or uncap the film tax credits altogether. According to DCED’s latest Report to the Legislature (2014), since the program’s inception, nearly $433.5 million in film production tax credits have been approved/awarded to film production companies under the program. These companies, in turn, have directly injected close to $1.8 billion into PA’s economy; generated an estimated $3.2 billion in total economic activity; and supported an estimated 21,700 jobs (based on 2014 IMPLAN multipliers.) Films bring an unparalleled increase of tourism to an area when it displays it on the big screen. One only needs to reference the films Rocky, Creed, Philadelphia, and Silver Linings Playbook for examples. Over the past few years, due to the decreased film work I have seen many of my colleagues, crew and film businesses leave PA permanently for states with dependable film tax credit programs. Without a competitive film tax credit program, we are losing tax-paying Pennsylvanians and most importantly, life-sustaining jobs. States like New York and Georgia are examples of what can be done with an uncapped (or in NY’s case, a $425M annual allocation) program. The film tax credit incentive program is a win-win for all involved and for the economic impact that film and TV production has on the region it touches. Please uncap the Pennsylvania Film Tax Credit program. Thank you for taking the time from your very busy day to read my letter. Special thanks to Color Reflections for providing the rally banners and signs and Core Water for providing hydration for all speakers and attendees.